Full length Zorro II SCSI-2 card with enough space to mount a hard drive. 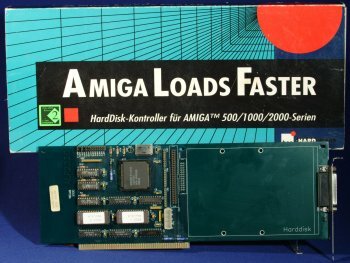 The ALF stands for "Amiga Loads Faster". The board also has a DB25 connector for connecting external SCSI devices.